Pictures of Samsung’s latest flagship phone have been disclosed by an app released by the firm itself. The images were discovered hidden via a hack of Unpacked 2018, a program that the company has asked invitees to Sunday’s launch of the handset in Barcelona to download. The disclosure backs up details divulged by earlier unverified leaks about the Galaxy S9. Experts say the revelations threaten to detract from the official unveiling. 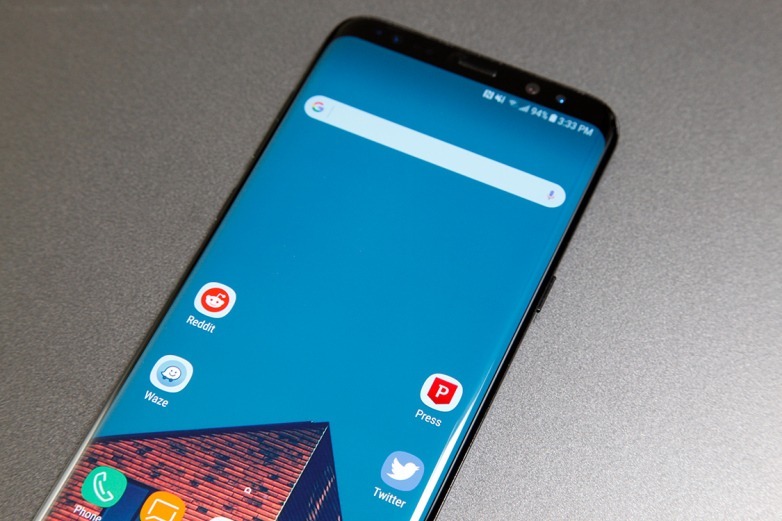 The images of a computer-generated model of the phone were apparently created to provide an augmented reality experience at Samsung’s Mobile World Congress press event, according to the news site XDA Developers. It was first to publish the photos. It said they were sourced from an anonymous Reddit user who had decompiled the Android version of the app’s software and then used the findings to fool Samsung into sharing the imagery. “The 3D models that we obtained were lifted directly Samsung’s server where they are hosted,” Mishaal Rahman, XDA’s editor-in-chief told the BBC. “There’s no doubt [they are real]. Samsung’s launch is expected to be the biggest – and most expensive – at this year’s MWC, which runs until Thursday 1 March. “There is still merit in holding set-piece launch events because it offers an opportunity to deliver all the messages about the product in a controlled environment,” said Mr Wood. But one tech blogger, who will also be attending, cautioned against assuming everything had already been disclosed. “Often people think they know exactly what’s coming and then it turns out there’s something else,” said Holly Brockwell. “A good example would be an HTC event where its phone had already leaked, and we were sitting there feeling pretty smug, and then it revealed the Vive virtual reality headset, which we didn’t know anything about. That was pretty amazing. An appearance by Facebook’s Mark Zuckerberg to promote its own virtual reality tech at Samsung’s 2016 MWC event was kept under wraps until he entered the hall. “That provided one of the most memorable moments of any launch in the past decade,” acknowledged Mr Wood.